How Do I Install Ubuntu on a New Windows 8 Computer? The introduction of personal computers with Windows 8 preinstalled with them also introduced a controversial under-the-hood modification – Secure Boot. Secure Boot is a technology which is included in any new computer that has Windows 8 preinstalled and the official sticker. It is meant to check that you have a certified operating system installed on your computer before it tries to boot it. This prevents the system from running any “non-certified” (or non-trusted) operating systems, lowering the risk that malicious code runs at boot time. The idea itself is reasonable, but it completely ignores the fact that personal computers are able to run more than just Windows – there’s Linux, BSD variants, and plenty more. 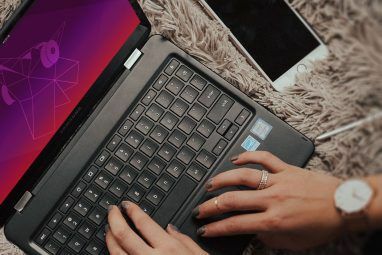 Ever since the specification came into effect, Linux developers have been working hard to support it so that people can continue installing their favorite Linux distributions. Since manufacturers tend to stick with Microsoft’s specifications, you won’t find a lot of computers that don’t have Secure Boot. If you happen to have a computer which doesn’t include Secure Boot, then you’ll have it a lot easier by following the regular installation procedure. However, if you’re stuck with it, here’s what you’ll need to do. Since Ubuntu 12.10 and the release of 12.04.2, the distribution has added support for Secure Boot. While this support is supposed to work for most systems, it may not always be the case. The best way to find out is to try to boot the installation media and install Ubuntu onto your hard drive. Be sure, however, that you’re using the 64-bit media, as it is the only one which works with UEFI Secure Boot (this rule applies to any operating system, not just Ubuntu or Linux as a whole). If you can’t boot the installation media or you can’t boot into your new installation, then something has gone wrong. As Secure Boot is a brand new technology, experiences can vary for everyone, with failures remaining largely unexplainable. If attempting a regular installation with Secure Boot enabled worked out for you, great! If not, you may need to try something else. The specification by Microsoft states that, in order to be Windows 8 certified, it needs to allow the user to disable the technology. Therefore, you should be able to boot into your system’s BIOS and find the setting for Secure Boot and disable it. Any Windows partitions that you keep on the system will still run normally, but it just theoretically reduces the security of your system by a bit. 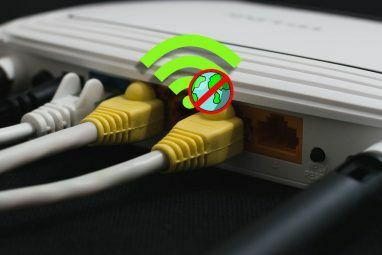 Turning off this feature should allow Ubuntu to be installed and run without any issues. Just remember to boot off your installation media in UEFI mode instead of BIOS mode in order to remain uniform, as Windows 8 will already be installed on your system in UEFI mode. From here, you’ll have two options – either keep Secure Boot off and work on your system with the slight increase in security risk, or attempt to turn Secure Boot back on. You’re more than welcome to try turning it on if you choose to do so, as you can always turn it back off if Ubuntu fails to load. 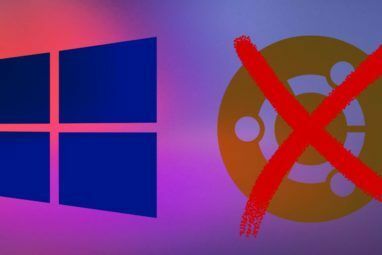 If you still have Windows alongside Ubuntu, you will most likely need to update your boot configuration so that it can correctly identify Windows, especially in a Secure Boot environment. You can easily fix any issues with the Boot-Repair utility. sudo add-apt-repository ppa:yannubuntu/boot-repair && sudo apt-get update && sudo apt-get install -y boot-repair and then run boot-repair to launch it. From here, you can click on “Recommended repair”, or go into the Advanced options and make sure that the Secure Boot option is enabled (only if you chose to re-enable it again). Hopefully, after another restart, you should be good to go! Sadly, Secure Boot support isn’t perfect, so you’ll need to have some luck to see if you can get it to work correctly with the technology enabled. Otherwise, you’ll have to make some sacrifices and disable Secure Boot, but I don’t find this to be too difficult of a decision as I’ve been just fine without the benefits of the technology. There’s always the question of whether the complications created by a security measure are really worth it for your own personal use. Have you successfully installed Ubuntu with Secure Boot enabled? Do you own a system on which you’d like to try installing Ubuntu on? Let us know in the comments! Also check out our “Ubuntu: A Beginner’s Guide“. Image Credits: Uwe Hermann, Award Software International Inc. Explore more about: Ubuntu, Windows 8. I'm at the point right now where I'm just comfortable with using Windows 7. My desktops are all home built, so I don't see this as a problem if I do decide to try 8. My only concern will be when I go to get a new laptop. Right now, it looks as though there are still plenty of boxes out there that still come with 7, but if it comes down to having to get something that only has 8 on it, I'm going to be plenty sore if I can't get Mint or Pinguy installed on it (I gave up on Ubuntu when they switched to Unity). I rarely use Windows anymore, but since I'm going back to school soon, I'm sure there will be a great need to use that slow thing for a lot of the class work. I hope you don't have too many issues whenever you do decide to get a new laptop! I upgraded to windows 8 but I don't know how it worked it didn't rewrite the boot or grub. So I am having both windows8 and Ubuntu. Of course only for using typing in local language I use Windows 8 :(. Honestly, at this point in the game I would just rather buy a linux laptop instead of trying to deal with whatever BS MS does next. I tried Windows 8 and I couldn't use it, it's not for me. I understand the whole Secure Boot thing, but I would rather not deal with it right now. All that said I'm sure that a better work around will come out soon enough. There may be a problem that isn't restricted to Microsoft (MS) Win8 machines, but may include certain MS Win7 machines that have a particular OEM BIOS firmware bug. Reading through the "launchpad" postings took quite a long time. Seems these issues started back in August of last year. What I can piece together, this may not be restricted to Samsung laptops. There were mentions of other hardware such as ASUS K55N laptop, Toshiba Satellite L505D-S5965, and Lenovo IdeaPad n585 laptop. Other Linux distributions may or may not have this problem. However, there were mentions of other Linux Distributions such as SuSE, Fedora live/Red Hat, and Slackware. With the Samsung laptops the problem seems (to me), to be the incorrect firmware implementation in the BIOS of the handling of UEFI and Compatibility Support Module (CSM) which would permit the loading of a traditional OS. I have been trying to follow UEFI issues for the last few years, when I became interested in Linux Boot, which was renamed Core Boot, which led me to UEFI. There are many unresolved issues. Difficult to understand what the current situation happens to be, too technical for me. Most articles I find are either dumbed down or blatantly one sided. Half say "UEFI" is good, the other half "UEFI" is evil. > Quote "Linus Torvalds: I will not change Linux to “deep-throat Microsoft”". Ars Technica. Retrieved 26 February 2013. This is a BIOS bug implementing UEFI and might even cause MS Windows to brick a machine. Also, might later prove to lead to some sort of MS Windows vulnerability (virus or root kit). Wow! Got to consistently read the release notes on each and every Linux distro. The UEFI in some laptops were poorly designed, so some operating systems would end up bricking the laptops. 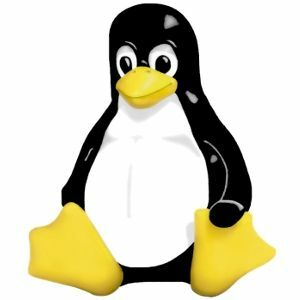 A fix is in the latest Linux kernels, although the true fault lies in the hardware of those laptops. This is a really good read! Thank you. I upgrade my computer to Windows 8, luckily secure boot isn't compatible with my machine and I can still boot into an external OS without much problems except overwriting MBR with grub. I use multiple drives for this sort of thing, thus eliminating the reported problems with 'updating' the boot area of a drive. If you use multiple drives, then yes, it is a better solution than having to mess with boot records.